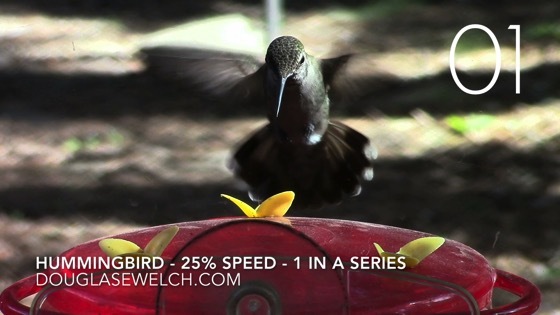 This video is slowed to 25% normal speed to allow you to see the hummingbirds and the behavior more clearly. Hummingbirds are birds from the Americas that constitute the family Trochilidae. They are among the smallest of birds, most species measuring 7.5–13 cm (3–5 in) in length. Indeed, the smallest extant bird species is a hummingbird, the 5 cm (2.0 in) bee hummingbird weighing less than 2.0 g (0.07 oz).